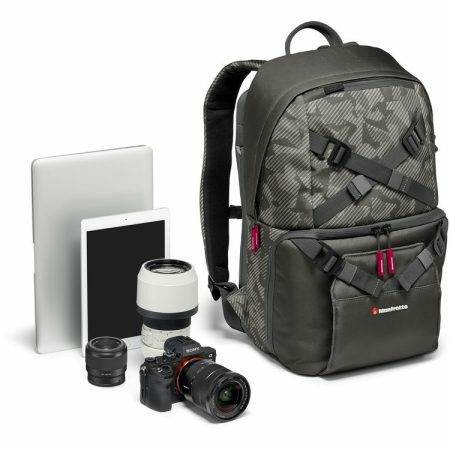 The Manfrotto Noreg Camera Backpack-30 (Gray) from Manfrotto is a versatile bag that features two primary configurations for multimedia creators. Inside its spacious main compartment, a partition system forms an optional bottom section which accommodates an included equipment pouch. When the partition system is enabled, the space created above the equipment pouch can be dedicated to items such as batteries, memory cards, or packable clothing that need to be reached quickly and conveniently. 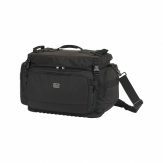 Accessible through a second zippered opening along the bottom half of this bag that faces away from the wearer, the equipment pouch’s own zippered closure opens to reveal two padded, adjustable dividers that can hold a mirrorless camera along with three lenses, or a folding drone kit. Among the dividers that can be configured according to the specific equipment being carried within the pouch, a flexible divider is provided to cradle curved surfaces such as the grip of a camera with an attached lens. During use, the flexible divider enhances protection between those curved surfaces and adjacent items while minimizing the area between them for more efficient use of the pouch’s space. When the Noreg Camera Backpack-30 is worn, a compartment with a zippered pocket for 15″ laptops and a slide-in pocket for a 9.7″ tablet computer rests directly behind the shoulders. This compartment is detachable and can be used as a stand-alone laptop and tablet computer sleeve. 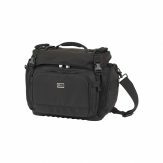 Similarly, the equipment pouch can also serve as separate camera bag with its own top-carry handle and shoulder strap. 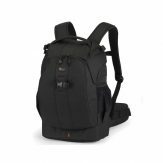 The Noreg Camera Backpack-30 can be carried using its built-in top handle, or by its adjustable shoulder straps. While the bag is in use, a side pocket on the wearer’s right side can be used to hold a monopod or selfie stick, which can be secured using the drawstring and cord lock located above that pocket. To hold a travel-sized tripod against the front of the bag, a cradle with integrated straps can be deployed along the zippered opening for the equipment pouch. Featuring a durable, nylon and polyester construction, this bag also includes a waterproof cover for use under heavy rain. 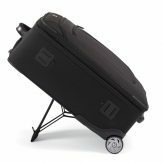 While traveling with a rolling case that features a dual-column telescoping handle, a pass-through band across the center of the Noreg Camera Backpack-30’s laptop compartment allows the entire bag to be mounted onto such handles for added convenience.